Atlanta Braves right-hander Kris Medlen underwent an MRI exam Monday that revealed an “injury to the ligament” in his pitching elbow, according to general manager Frank Wren. Wren said Medlen will seek a second opinion. According to The Associated Press, he is expected to meet this week with Dr. James Andrews, who performed Tommy John surgery on the pitcher in 2010. 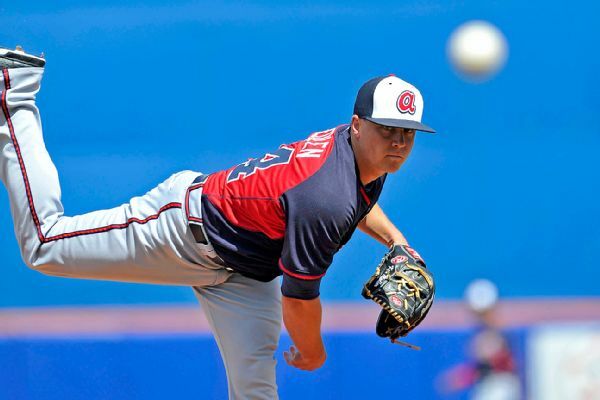 Brad Barr/USA TODAY Sports An MRI on Kris Medlen’s elbow revealed an “injury to the ligament,” the Braves said. The team will seek a second opinion for its slated Opening Day starter.